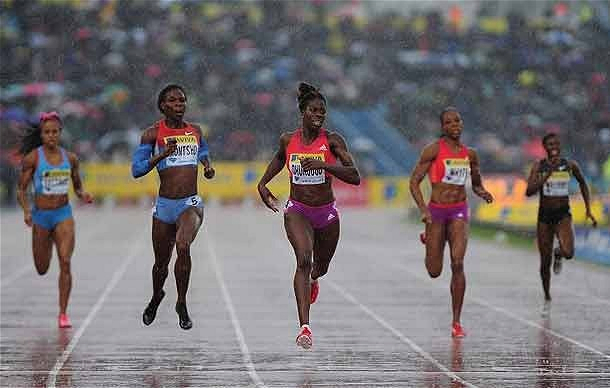 My last article in June on How to Improve Your Last 100m in the 400m was left open ended where we concluded there are many ways to improve that final straightaway. 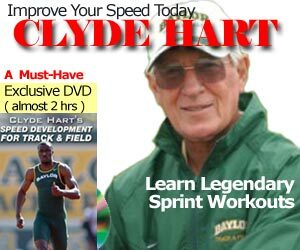 Mike Hurst coached Australian sprinters to qualify for five consecutive Olympic Games (1980 Moscow to 1996 Atlanta), and he contributed to Part 2 of this series. Part 3 is guest blogged by Fabien Ngô (PhD), a sprint coach in Brussels and coached mainly teenagers and masters. His new athletes were either injured or demotivated and he currently coaches remotely. Jimson Lee asked me to write an post on late season 400m special endurance training. I very humbly accepted and I hope not to embarrass myself too much. Actually, I’m still wondering why he ask me to do so but I couldn’t refuse his proposition neither. The first thing I want to address is the the assessment of the athlete and the relationship you need to build with him. Late season training must be fine tuning. You must have a good idea of what your athlete is capable of and you must have his trust. Moreover it doesn’t make any sense to me to do a workout if it’s not in harmony with what you’ve done previously. Usually what you do is going backward you have some constraint like championship or big meets in which you want your athlete to perform and you start going backward while doing your periodization scheme. Well, of course, that’s theory but you should have a rather precise idea of what to do and a tool box or a work out inventory if you prefer to fill your plan and have some flexibility. So everything should be in harmony. Sometimes your athlete is doubting and you must take care of it. Now concerning special endurance training there is a very important aspect that you may want to address late in the season, your athlete is supposed to be in shape, he had develop his speed, his speed endurance and his race strategy. Race strategy is a very important part of training. It has to be worked all year long. It is of course true for the 100 and 200 where you need to learn the acceleration pattern, speed maintenance and deceleration control, but it’s even more true for the 400. So the thing you want (at least I want) to assess and eventually fix is this race patterns. No need for complicated thing here. I guess what most people do is what we call event runs. Like the name indicate those work out are training that try to mimic the event as much as possible. There is the famous 300-100 for the last part of the race. But maybe that’s not what your athlete needs. Maybe he needs to fix the first part of the race or the middle but you still want him to do a special endurance work out. Maybe your athlete is so well trained, and I’m sure he is, that you want to figure out very subtle mistakes in his race patterns, yet you want a global view. So here is what I’ve used with success. I like those work out, my athletes loved them and that was to me the most important aspect. The work out is very simple. Four runs of 300 350. Two of those runs would emphasize the first part of the race and the other would emphasize the last part of the race. 2X300, accelerate smoothly to the 50m mark at race pace (95-97M%) then float to 300. Recovery at least 15min rest . 2X350. Float for 100m then accelerate. Here you can play with the recovery in order to imitate the fatigue of the last part of the race. The last 200 must be run at race pace. So for a 49 athlete it would be around 25 second or slightly faster. and for a 52 athlete it would be around 26.5 27. In the 2×300 WO you are really slowing down the last 100. 17sec for the 52sec 400 guy.He go’s thru 200 in 25sec last 100 in 17sec for a 42sec 300. Is this something that you would progressively look to lower the last 100 time as the season progresses? Ideally a great split for a 52 sec guy would be 25/27 The last 100 is probably going to be closer to13sec then 14 sec.Not sure how this WO addresses this. Maybe the 2 reps is the key. You do 4 runs. So the first two are the 300’s and address the first part of the race and build up some fatigue then you do the 350’s in the same work out where the last 200 in 27 or slightly faster for a 52 sprinter. You need to fine tune the recovery of the 350’s to suit your athlete needs. You can start with 7 or 8 minutes but it really depends on the athlete. OK. All one WO.That makes more sense.